The relationship between Pogba, signed for a then-world record fee of $116 million from Juventus in 2016, and Mourinho appeared strained last season. By placing the captain’s armband on Paul Pogba, Manchester United manager Jose Mourinho might have thought he would quell growing speculation about the World Cup-winning midfielder’s future at the English club. Comments by Pogba himself, and the player’s outspoken agent, over the last two days have only added to the uncertainty. 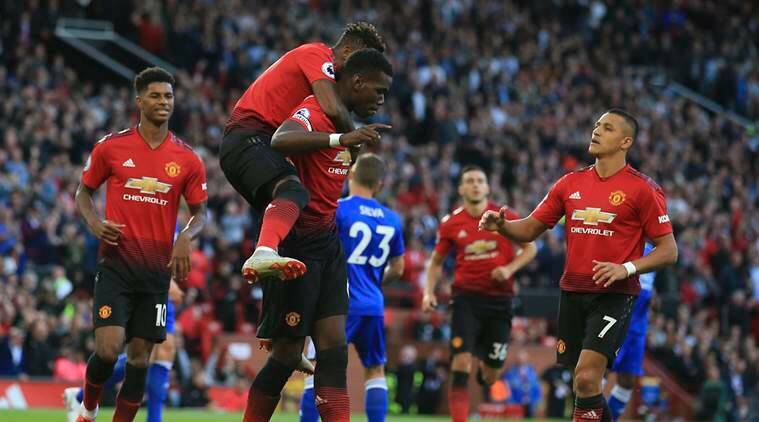 United’s sloppy display and Pogba’s central role in it invariably attracted plenty of criticism, as with anything involving Britain’s biggest soccer club. One of its greatest players of recent years, Paul Scholes, lamented the “lack of leaders in the team,” a not-so-subtle condemnation of Pogba. That prompted back-to-back tweets on Tuesday from Mino Raiola, Pogba’s larger-than-life representative, who said Scholes “wouldn’t recognize a leader if he was in front of Sir Winston Churchill.” It was a reference to the British prime minister during most of World War II. The fact that Raiola veered toward the topic of Pogba’s future is significant. The midfielder could still be sold to a leading European club this month, the transfer window remains open in Spain, for example, and Barcelona have been linked with a move for Pogba. Raiola knows his tweets will be widely picked up and only serve to fuel talk of Pogba’s reported unrest at United. “Mino Raiola” was trending in Britain throughout Tuesday. Mourinho insisted last week that he “couldn’t be happier” with Pogba, but the midfielder’s explanation for his performance against Brighton didn’t shine a positive light on his manager. It has come at a time when Mourinho is back under scrutiny after being at odds with United’s board over the club’s transfer strategy in the offseason, having failed to get the center back he craved. Throughout his managerial career, Mourinho’s third season at a team is usually when problems begin to surface. It happened in both of his spells at Chelsea, and also at Real Madrid.